Matin Pro – French for morning, offers a clean, simplistic, and beautiful design that puts your content front and center without distractions. No complicated settings or a million confusing options…fast to install and easy to use. I’m even using this on my own blog website! With dark, light, and colour accents, this theme is seriously a gorgeous choice for any personal (and even business) blog that really emphasizes your articles for everyone to enjoy. Don’t let the simple look and feel of this theme fool you, it packs a lot of features and options for you while keeping it easy to use. 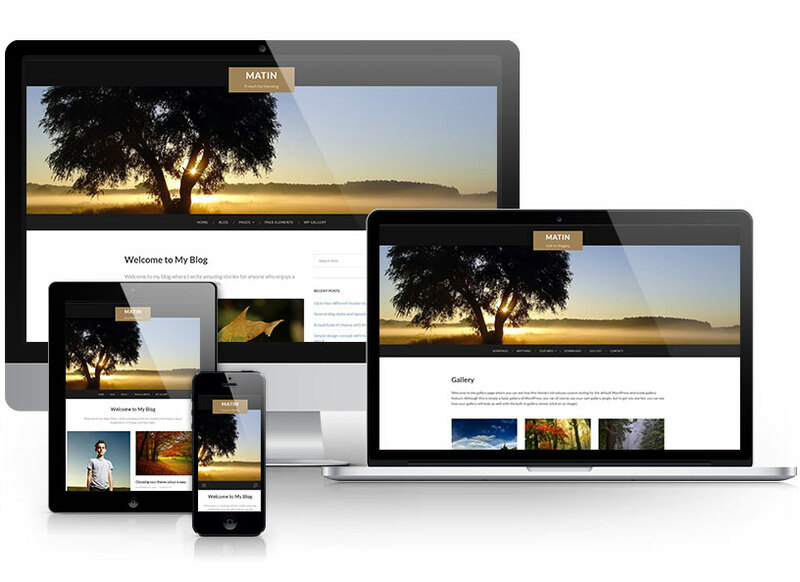 Here are several key features of the Matin Pro WordPress theme, but not limited to what it offers! You get up to 5 blog styled layouts to give you a ton of options to display your posts. Not only do you get 10 sidebar positions, but you also get dynamic width that self-adjusts. You can manage some of your theme's typography styles from the customizer for a more font flexibility.